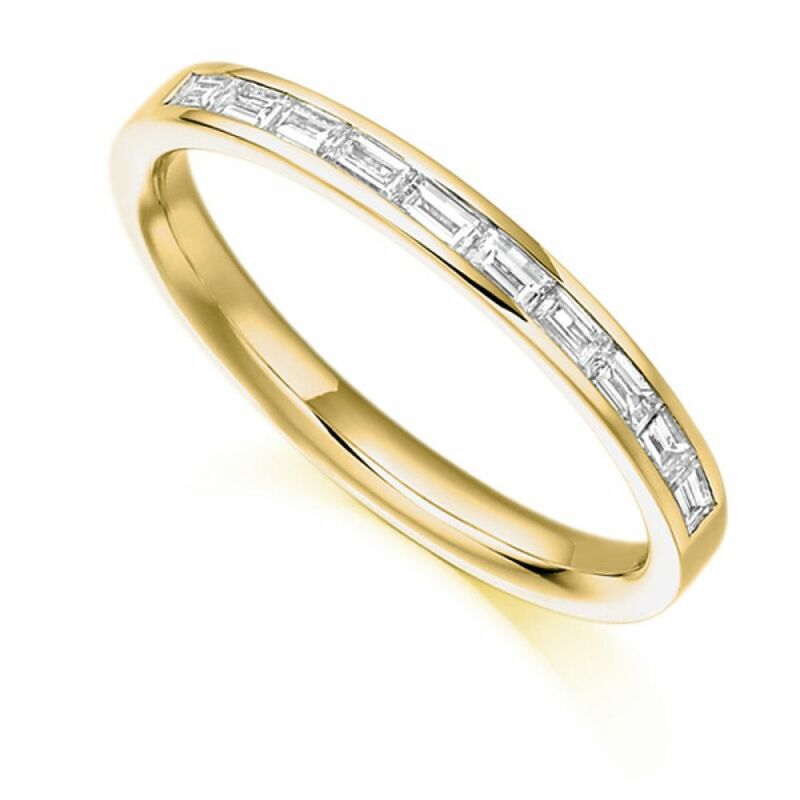 Baguette cut diamond half eternity ring, set with 0.30cts of diamonds along a channel setting within a 2.4mm wide band. Hand selected Baguette-cut Diamonds are set into this half Eternity Ring to give an amazing dazzle in a comfortable to wear ring. Choose from a wide range of precious metals including 18ct White Gold, 18ct Yellow Gold, 18ct Rose Gold, 950 Platinum and 950 Palladium. Diamonds weighing a total of 0.30cts, F Colour VS1 Clarity, are precision set into the stylish band measuring 2.4mm wide. Please allow us 3-4 weeks to create your ring and deliver it securely by insured courier to your door. For your total reassurance, Serendipity Diamonds provide you with 60-day returns, lifetime warranty, and a detailed insurance valuation. If you would like more information or advice please do not hesitate to contact us via, email, phone or online chat.